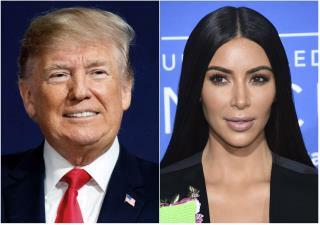 (Newser) – Just one week after Kim Kardashian met with President Trump to argue the case of a great-grandmother sentenced to life in prison over a first-time drug conviction, the POTUS took action. He granted clemency to Alice Marie Johnson Wednesday, commuting the life sentence of the 63-year-old Tennessee woman who was found guilty of cocaine conspiracy and money laundering charges. She has been in federal prison for more than two decades, NPR reports, during which time supporters have argued for her release, pointing out the non-violent nature of her offense and the fact that she's been a model prisoner. Mr Trump you for your good move for the Johnson's family. I do not have any family members in jail thank God, but I would also be thankful to you if it was my family. But now why don't you get a group of NFL owners, players, Chiefs of Police, the Justice Department and others in the community for a meaningful dialogue. Many of these black players were fans of yours many years ago until you used the SOB. These players are not SOB. They play hard, risk concussions, in this rough and competitive game. Talk to them. Do it soon and get it out of the way so we can be ready to play the beautiful but "tough and tumble" game of American football. I do not want to see these guys kneeling unless in prayer but I know why they are protesting in the country where you are supposed to leader. Someone with big breast walks into the Oval Office and Trump makes a decision to release a druggie grandmother. She has no social security anyway, what’s her income?